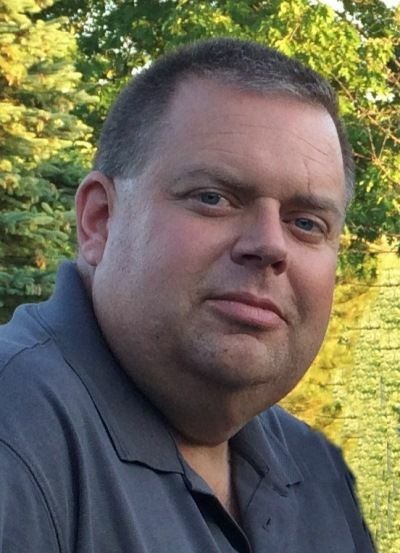 Chapman-Timothy Lowell, 47 died September 21, 2018 at the Aroostook House of Comfort in Presque Isle. He was born in Manchester, N.H. October 16, 1970 the son of Thomas and Kathleen (Sullivan) Lowell. Tim was a 1989 graduate of Morse High School, received his BS degree in Fire Investigation from the University of New Haven in 1993 and then in 2010 he received his Masters of Science Degree in Criminal Justice Administration from Husson College. For over 24 years, Mr. Lowell was a Senior Fire Investigator with the Maine Department of Public Safety, Office of the Fire Marshall. He married Emily Parks September 18, 2004. Tim was a member of the International Association of Arson Investigators, was a former volunteer and honorary member of the Caribou Fire and Ambulance Dept., was a certified ice diver and rescue diver for over 20 years, and served as a State of Maine Fire Arms instructor. He was an avid outdoorsman who loved to hunt and ride snowmobile and ATV. He was a member of the Presque Isle Fish and Game Club, the Presque Isle ATV Club and was a board member of the Presque Isle Snowmobile Club. He was a member of Trinity Lodge #130 A.F@A.M as well as the Anah Temple Shrine. Mr. Lowell was also a former Maine State registered EMT-Paramedic and taught numerous EMS classes at Northern Maine Technical College. Surviving in addition to his wife, Emily of Chapman and his mother Kathleen of Bath, are his brother, Robert Lowell of Georgetown, his mother-in-law and father-in-law Ruth and Phil Parks of Blaine, a brother-in-law and sister-in-law Aaron and Holli Parks of Pahrump, NV and a special niece Jamie of Pahrump. Tim was predeceased by his father, Thomas. Friends may call at the Mockler Funeral Home 24 Reservoir Street Caribou 5-8p.m., Saturday, September 29, 2018. Funeral services with Law Enforcement/Fire Service honors will be held from the Presque Isle Wesleyan Church, 1:30 p.m. Sunday, September 30, 2018 with Rev. Bud Fancy officiating. Friends who wish to contribute in Tim’s memory may do so by donating to the House of Comfort, P.O. Box 867, Presque Isle, Maine 04769. Emily, I’m so sorry for your loss. Sending lots of love & comfort. It was an honor to have worked with you Tim, although I did not get a chance to see you often working in another area of the state I will miss our conversations about work and politics. Rest easy my friend we'll hold the line from here. We are so very heartbroken. Our sincere condolences to Tim’s wife, family and friends. My Condolences to Emily who I know was the love of Tim's life, and Tim's family in this time of their loss. I will remember Tim's smile, laugh and great talents in EMS and Fire where he will be greatly missed. It was a real pleasure to have worked with him. The sirens have called him home. I am sincerely sorry for your loss. Sometimes the hardest thing to do is continue on after the loss of a loved one, but please be assured that Jehovah God is aware of what you're feeling. Psalm 34:18 states "God is close to the brokenhearted; He saves those who are crushed in spirit". God can and will provide you with the comfort & strength to endure during these difficult times. God promises us that there will be a resurrection, that will take place after he does away with death once and for all time. (Rev 21:4 & John 5:28-29) Then we will never have to experience the pangs of death ever again. I pray these words and scriptures brings you comfort. I couldn’t believe what I heard my friend!! You where such a Fantastic Man!! You where there for me through my younger years and was such a devoted friend!! Thank you so much for all the advice and time you put into my life!! You gave me a shoulder to lean on and gave me hell when I did wrong!! Thank you for setting me straight and helping become a good person that I am!! I love ya bunches my forever friend Fly with the Angels!! Tim was a real gentleman and hard worker. I have worked with him for over 20 years. This world is missing a great human. It was a pleasure to have met him. May he rest in peace in the hands of God. I remember Tim very well from Morse High. I am very sad to learn of his passing. My condolences to his family and friends. So sorry to hear about Tim's passing. I know he will be deeply missed. Thinking of you all at this sad time.